Plastic bottles contain high levels of the chemical bisphenol-A (BPA), this chemical leaks into the water that we are drinking and silently causes many disruptions in the bodily function. BPA can be causing hormone imbalance (estrogen), heart disease, liver problems and diabetes. Whats worse is when they ran studies on drinking cold water from plastic versus warm water, they found that the levels of BPA were in fact much higher in the warm water! This rings alarm bells when you think about your plastic water bottle left in your car on a hot sumer day or even worse feeding your baby milk out of a plastic baby bottle. 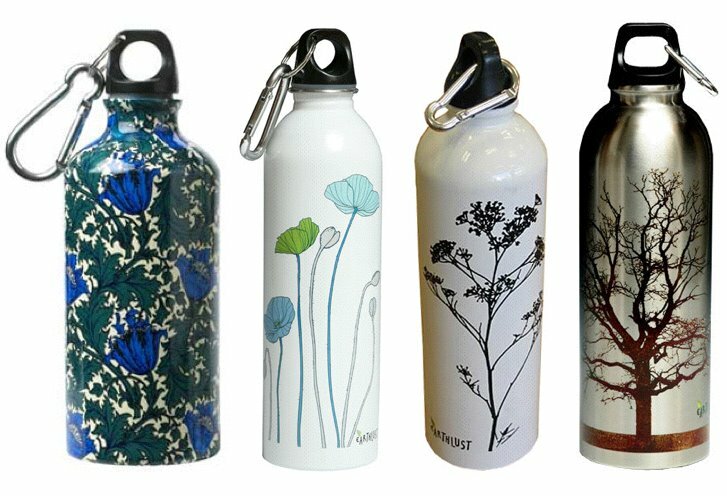 Plastic water bottles are not only harmful to our bodies but to the environment so why not trade them in for BPA free reusable bottles made from stainless steel. They come in all colorful designs and patterns. Check them out! This entry was posted in Healthy Living, Yoga by Shireen. Bookmark the permalink.